The monthly chart for the US Dollar Index below shows a good bounce off the 200-month moving average (the red line). This is just above the seven-year upward-sloping trendline of the rising channel. As long as the index does not collapse below 86.80, we will see the 100-month moving average (the blue line) cross above the 200-month over the summer for a longer-term bullish confirmation. The daily chart also shows bullish signals, with a breakout above the 14-month downward-sloping trendline at the beginning of last week. The push above the blue 100-day moving average gave us further bullish confirmation. However, as we become overbought on the daily chart, we have stalled at the 200-day moving average and first 23.6% Fibonacci resistance at 91.92. It is highly unlikely we can continue higher at this stage. The first leg higher as markets turn from a bear trend to a bull trend is usually slow with deep setbacks, because the bears are still quite aggressive, believing they remain in control. Therefore we could see a significant pullback now to the 100-day moving average at 90.60 and more minor 23.6% Fibonacci support at 90.50. In fact we cannot rule out a dip as far as the 14-month trendline now at 89.95/89.90. But it is declining so, depending on how long it takes us to test the trendline, the value may be a little lower by the time we get there. Clearly bulls need to sustain a break above 92.00 to prove me wrong and remain in full control. We would then target the January high at 92.64 (also the high for 2018 so far) then 93.00/93.05, and eventually as far as 94.15/94.20. The monthly EUR/USD chart shows a similar picture to help back up our theory of a longer-term top for the euro versus the US dollar. The 200 and 100-month moving averages just below the 10-year trendline ensured the bulls were defeated as the trend reverses. In the daily chart below we see how the sell-off started as soon as the pair broke the one-year trendline at 1.2330 on 20 April. We spent the next week in a dive, initially targeting the blue 100-day moving average. We paused there for a day before dropping to what is now very important support in the short term. You can see the 23.6% Fibonacci and red 200-day moving average support at 1.2032/1.2013. In oversold conditions we are likely to at least pause here and trade sideways to ease these conditions. Of course a bounce would ease these oversold conditions much more quickly. Watch therefore for a bounce to minor resistance at 1.2135. Stronger resistance at 1.2170/80 is, however, more of a challenge. If we continue higher this week look for a selling opportunity at 1.2235/45. Failure to beat minor resistance at 1.2135 targets 1.2100/95 before important support at 1.2045/35. This could hold the downside but long positions need stops below 1.1990. A sustained break lower would be an important sell signal indicating that the longer-term negative outlook prevails. 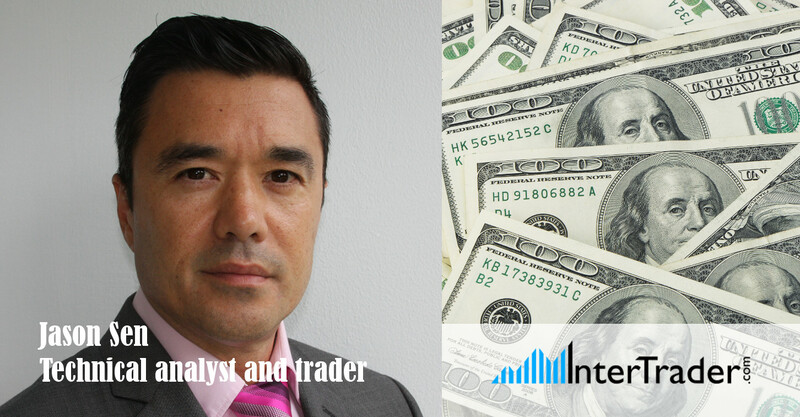 The content of this article is the personal opinion of the author and not InterTrader. You should under no circumstances consider the information and comments provided as an offer or solicitation to invest. This is not investment advice. The information provided is believed to be accurate at the date the information is produced.